Mandalpatti is a hilltop situated at an altitude of almost 4,050 feet. It is 18 kilometers from the town of Madikeri located in Karnatake district, India. Mandalpatti is a green hilled trekking area halfway between Madikeri and Abbey Falls. 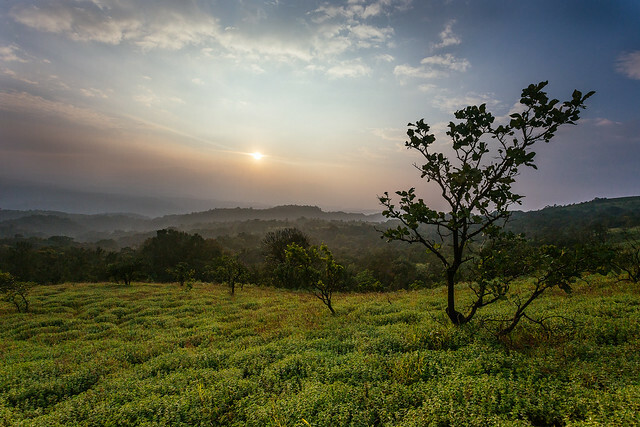 It is part of Pushpagiri Reserve Forest. It happens to be one of the great adventure options in Coorg from from Bangaluru as it provides four-by-four Jeep drive spot up to the hilltop. In their local language, Mandalpatti is known as ‘Mugilu-Pete’ which means Market of Clouds. The best season to visit this place is after monsoon and before summers. Tourists are suggested to avoid rainy season. Thanks to the lush green meadows, this place is ideal for trekking therefore. There are no facilities like bathrooms, shelter and restaurants available up here. It is better for visitors to carry water and eatables with them and be prepared. To reach Mandalpatti, there are two most suitable ways. One is via Abbey falls which is clearly 20 kilometers away from the hill. The road is a little bumpier although it will take less of the time. Second option is via Makkanduru. It is drive through the coffee estates and there happens to be a lot of small water streams and waterfalls on the way. This will be a ride of 35 kilometer. Suggestion is that visitors take any route and first and come back via the second one thus, enjoying both the sceneries. There is no bus directly here, so taking a taxi or driving yourself is the best way to get here. Buy tickets before entering, and then trek happily among the green hills.